What is a Three Phase Power System? Large commercial and industrial buildings will usually operate under a three-phase system. In brief, the reason for this is to provide a constant rate of power to meet commercial demands. 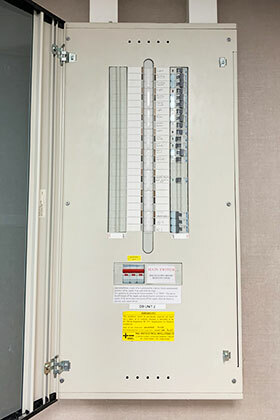 Whereas, residential properties use a single phase system. Our contractors have extensive experience in the installation and maintenance of single phase and three phase power systems in a variety of large commercial projects. Three Phase systems consist of three cables operating at a voltage of 120 degrees. They are ideal for units requiring an excess of 1000 watts. This includes power grids, mobile towers, and other high load systems. In a single phase system, there is one neutral wire and one power wire with current flowing between them. The voltage rates vary, peaking between 90 and 270 degrees. Single phase power systems are ideal for units that have a 1000 watt limit. Residential properties commonly utilise single phase systems as the demand for power varies.